This past weekend I attended a teacher's state convention. I was able to select two workshops to attend Saturday morning. I selected one on healthy eating and the other was called App'L. It was led by a young high school Biology teacher who is very tech savvy. She shared apps for the classrooms and apps for fun. The first app we explored was QRReader. If you have an Apple device you definitely want to download it. Once you have it on your IPhone, IPad or IPod it allows you to scan qr codes from any source. It is amazing how teachers can use qr codes for teaching tech savvy students. Anyway, I love the codes and they are everywhere. So I made one tonight for my blog. I hope to generate more that will be interesting to you but tonight I have just this one. 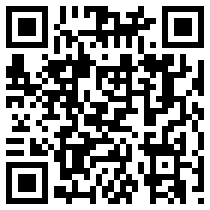 So if you have that app get busy reading qr codes and seeing the latest way to get information. What are you favorite apps? That is so neat. Both codes opened so easily! Yah! Sorry happy to hear that! Happy code reading and generating your own codes.